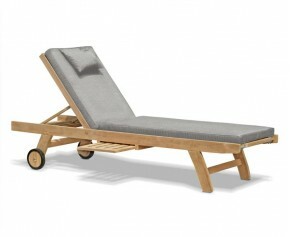 Sun loungers are already designed to be comfortable, but the addition of replacement sun lounger cushions can make it a much more luxurious prospect. These showerproof garden lounger cushions offer the ultimate in style and comfort and the covers can be easily removed to facilitate washing. 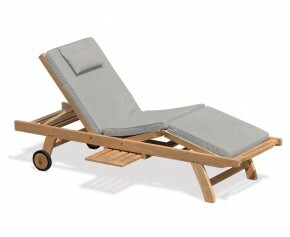 Choose from our range of deck chair cushions here. Brighten up your Adirondack chair and sit in the ultimate comfort with this Adirondack Bear chair cushion. A garden favourite this Adirondack chair cushion combines the benefits of comfort and style, and is sure to leave a lasting impression on guests. Add that extra bit of comfort to your Adirondack chair with this great value Adirondack chair cushion. A garden favourite, this outdoor seat cushion combines the benefits of comfort and style, and is sure to leave a lasting impression on guests. Sit back and lounge in the ultimate comfort with the addition of this steamer chair cushion. Expertly woven in polyester for long life and aesthetic appeal, this steamer chair cushion features a machine washable cover with zip fastenings and has been finished in a stylish double piping edge. 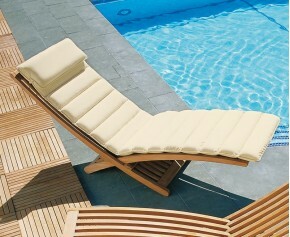 Turn your sun lounger into a more luxurious prospect with the addition of this garden sun lounger cushion. Expertly woven in polyester for long life and aesthetic appeal, this garden sun lounger cushion offers a clever way to incorporate some colour to your outdoor furnishings. Custom made to fit our Chelsea Modern Teak Lounger, this luxury sun lounger cushion has been expertly woven in polyester for long life and aesthetic appeal.With a luxurious SuperiorFoamFill® inner pad for added comfort, this extra thick luxury sun lounger cushion has been finished with easy ties where appropriate and a neatly piped edge. 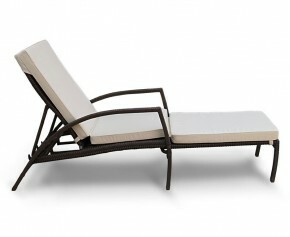 Custom made to fit our Monaco All Weather Wicker Lounger, this rattan sun lounger cushion has been expertly woven in polyester for long life and aesthetic appeal.With a luxurious 6cm SuperiorFoamFill® inner pad for your added comfort, this extra thick rattan sun lounger cushion has been finished with easy ties where appropriate and a neatly piped edge.